10-Jul-2015: The English version of the q&more online portal is now available online. 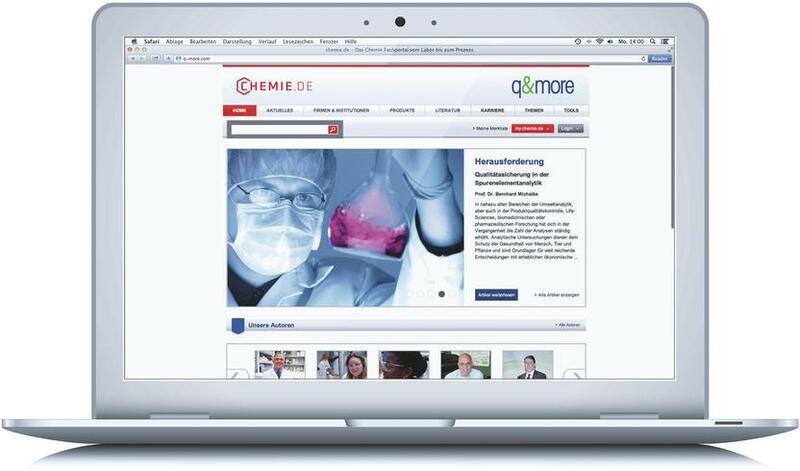 The q&more portal was developed in a unique cooperation between succidia AG and CHEMIE.DE Information Service GmbH, and is supported by METTLER TOLEDO. It is aimed specifically at decision-makers, and uses attractive content to build up a sustainable network. 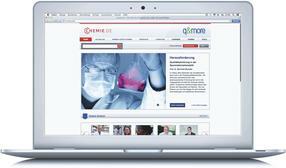 The q&more portal offers more than mere specialized information. Based on the international "q&more" scientific journal, the innovative platform provides knowledge in a lively and inspiring manner as well as creating fascinating communication experiences. Up-to-date know-how in the areas of science and research goes hand in hand with the latest technological developments. Using the q&more portal, specialists can actively assimilate new knowledge and communicate with the authors of specialist articles published online. Q&more offers a diverse range of topics including science, production and quality control solutions for maximum requirements in research and processes. A particular focus is attributed to current developments for modern quality management and the GxP environment. Additionally, specialist contributions by renowned scientists from all over the world as well as industrial partners are presented in a high-quality manner. In collaboration with other publications published by succidia AG, q&more offers high-quality content which is supplemented by up-to-date application knowledge, product information, and more. Efficient search functions, memory lists and personal search filters make it easier to find specialist knowledge at the touch of a button.